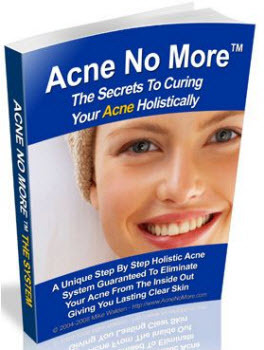 Acne is a disease unique to humans. It affects up to 80 % of young adults, in whom it can induce stress, depression, and anxiety, as determined by psychometric scoring (47,111,112). 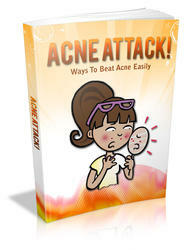 Acne is a disease of the infundibulum or "pore" of the human sebaceous pilosebaceous unit and of the gland itself. This unit develops at puberty, appears only at the site of acne lesions (the chest, back, and face), and seems to have no other function than to sometimes produce acne lesions. The earlier forms of acne are characterized by microcomedones, which represent an intrainfundibular scaling-like phenomenon. As the disease progresses in severity, comedogenesis develops, as does inflammation. Duct rupture is a late event in the development of most inflammatory lesions (47-50). Acne is generally accepted by clinicians to be a multifactorial disease and it is believed that acne is associated with seborrhea, the excess production of sebum by the sebaceous gland (49,113). Further, Propionibacferinm acnes is a major bacterium implicated in the pathogenesis of acne (114). Acne is characterized by the presence of noninflammatory lesions, termed comedones (47,50). The earliest pathological change in acne is altered follicular epithelial differentiation, resulting in a follicular retention hyperkeratosis—the microcomedo (50). In addition to the noninflammatory lesions, inflammatory lesions can develop when such microcomedos are colonized by P. acnes. For inflammatory lesions such as papules, pustules, and nodulocystic lesions to occur, a variety of pathogenic factors are involved, including besides P. acnes, inflammatory mediators, and host immunity (115). In vitro experiments on organ maintained human infudibula have identified a number of cyto-kines that can model the morphological and inflammatory aspects of acne (116). These cytokines not only induce the infundibular changes in acne, namely (i) hyper-cornification (scaling) of the infundibulum, (ii) expression of intercellular adhesion molecule-1 and human leukocyte antigen-D related, and (iii) disruption of infundibular morphology, but will also inhibit the secretion of lipid from the sebaceous gland (117). Since acne seems to be provoked by P. acnes in sebum and since P. acnes depends on sebum for nutrition, the inhibition of sebum secretion would be expected to promote the remission of the disease by inhibiting P. acnes colonization (117). Abbreviation-. PPAR, peroxisome proliferator activated receptor. cases where papulopustular or nodulocystic acne is present, there is a need of systemic treatment. However, there is a continued need for effective drugs for the therapy of acne, although judicious combined use of existing topical and systemic therapies offers great relief to many patients and a recent review of these therapies indicated that approximately 68% of treatment is effective (120). Nonetheless, PPARs may offer a solution for the development of novel effective drugs for acne therapy.